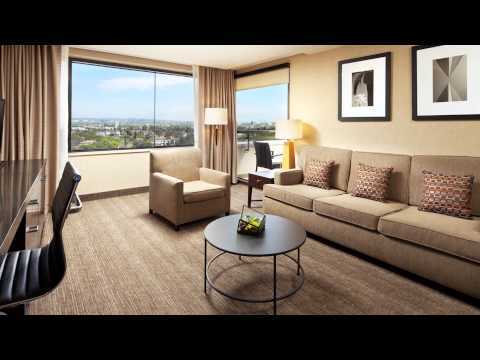 Enjoy a revitalizing lifestyle experience at The Westin Los Angeles Airport. Our hotel is located just four blocks from LAX Airport and moments from Los Angeles attractions. Spread out in our spacious, welcoming guest rooms and suites with Westin Heavenly® Beds and thoughtful amenities. Take advantage of our signature programs and facilities - from the WestinWORKOUT® Fitness Studio and RUNWESTIN™ concierge to our unique Surf Lesson Room Package and on-site Surf Concierge. Take a dip in our outdoor heated pool, relax in our whirlpool or benefit from in-room spa services. Dine at Daily Grill Restaurant & Bar, grab a coffee at Café BLVD, order 24-hour room service or sip cocktails in our Lobby Lounge. Our hotel boasts extensive event space, perfect for meetings or social gatherings. Explore attractions near our hotel such as the Santa Monica Pier, Venice Beach and the Forum. The Westin Los Angeles Airport offers a relaxing retreat just moments from the action in downtown LA and a complimentary shuttle to LAX.